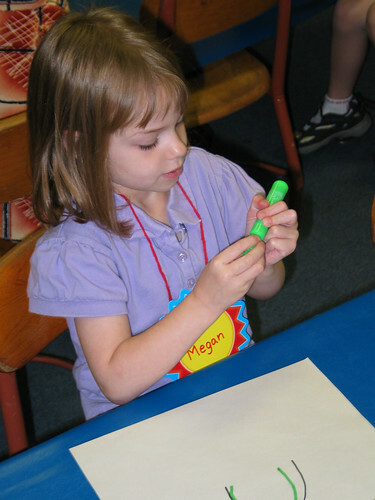 Today Megan had her first day of her second year of preschool at Woodard. This year her teacher's name is Mrs. Wright. She will be joined by a few of her old friends, particularly Jack and Conrad, and will also be meeting some few new friends. Megan loves school and was very sad that she only got to stay for an hour today.